I’m excited to be finishing up the Vaetra Chronicles trilogy because I have a story idea I’ve been wanting to develop ever since I started writing fiction. Over the past three years, I learned that I have no shortage of ideas, just a shortage of time to write them! For my next novel, I’ll be leaving the world of Mundia behind and entering modern times. Kyle Nelson was ready for a rebound fling after being dumped by his fiancé. But a one-night stand turns into a nightmare, leaving Kyle with strange dreams and frightening physical mutations. Adding to the crazy, a woman claiming to be a witch tries to convince him that he is in danger of turning into a werewolf and that his only hope for a cure lies with her secret society. Kyle starts to believe her when he attracts the interest of the local pack and learns that his fate will be sealed on the next full moon. Nearly a year ago, I won a free book cover design from Victorine Leiske. Victorine is a successful author as well as an excellent cover designer, so I was honored and pleased to have her talents at my disposal. The question was, what cover should I have her create? I already have a cover designer for the Vaetra Chronicles, and I want to keep using that designer because I like her work and I want the Vaetra covers to be consistent. Victorine’s cover had to be for the novel that would follow the Vaetra Chronicles, which meant I had to figure out what story was up next in the queue. Yes, that means I’ve been sitting on this cover, the concept, and the title for almost a year now. It’s been torture, but I promised myself I wouldn’t announce or start on my next project until the Vaetra Chronicles was written. Last week, I finished the first draft of Vaetra Unleashed, so I couldn’t pass up the opportunity to tell everyone about First Moon on a Friday the 13th that happens to coincide with June’s full “Strawberry” moon. Some of the many story ideas I have waiting in the wings were inspired by song lyrics. One such idea came from the song Howl at the Moon by a 70’s rock band named Klaatu. The song lyrics inspired the concept for what writers like to call “the inciting incident” of the story. Most of the story is about how the lead character deals with the aftermath of that incident. 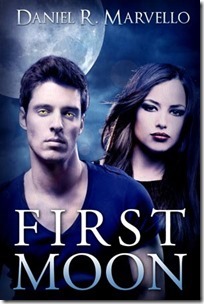 As for the title, First Moon refers to the first full moon after a person has contracted lycanthropy. In the story world, the lead character Kyle has until First Moon to be cured, or he will be forever cursed with the disease. Why Write Yet Another Werewolf Story? I’ve been fascinated by the concept of werewolves for as long as I can remember, so it’s not a surprise that the topic would work its way into my writing. In the Vaetra Chronicles, I introduced lycanthropy in the form of a shape-shifting potion. My interest probably ties in with my love of the forest, my appreciation for my canine friends, and my love of fantasy. If I had the ability to shape-shift into a wolf and run through the forests near my home, I’d do so in a heartbeat. Yes, the world is full of werewolf stories, but the world is also full of just about every other kind of story. 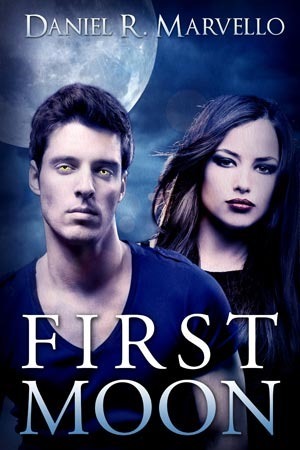 I hope to entertain fans of paranormal fantasy with what I think is a fresh take on the werewolf myth and a great story that makes readers want to know what happens next. When will First Moon Be Released? My primary task is to publish Vaetra Unleashed, but I’ll be able to make progress on First Moon while I’m waiting for beta readers and my editor. This week, while Unleashed as been with my alpha reader, I’ve been able to plan most of First Moon and do a bunch of research for it. In the meantime, I’ve also devised a new writing schedule that should let me publish three books a year. With the new schedule, First Moon should be ready for release in late March, 2015. If all goes well, new titles will follow in July and November. If you want me to email you when it comes out, be sure to sign up for my Release Notices in the right side bar. Of course, you will also be the first to hear when I release Vaetra Unleashed.